I had a go-to red velvet recipe, one I thought I was happy to use for the rest of my life… but then I went to London last October, bought a red velvet cupcake from the Hummingbird Bakery on Portobello… realised I have their recipe book at home, decided to try it and have not turned back since. Their cream cheese frosting recipe is also the one I’ve been using for years now, so it truly is a perfect pairing! 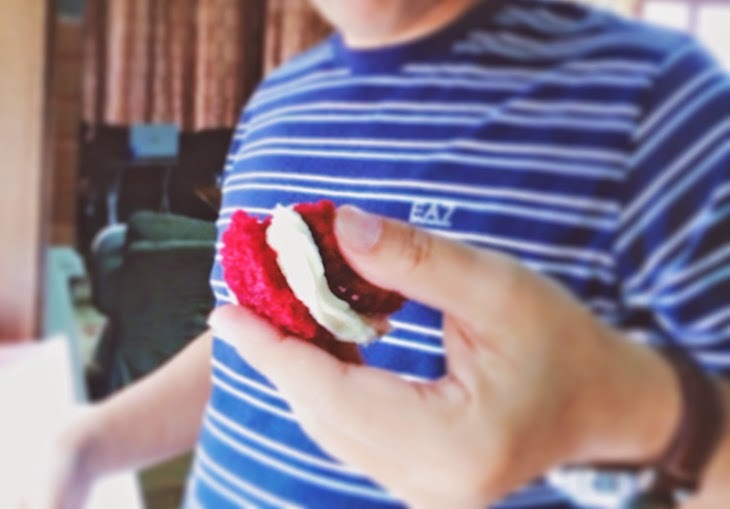 There were many birthdays in my family this week, and a special one in the manfriend’s family… and also I kinda had a craving for a red velvet cupcake (clean eating begins MONDAY!). So, following a terribly self-indulgent Saturday morning, I decided to whip up a few batches of these little babies. Don’t they look pretty? My baby boomer dad surprised me by splitting the cupcake in half and eating it like a cupcake sandwich. Who knew he subscribes to Lifehack pinterest board advice? 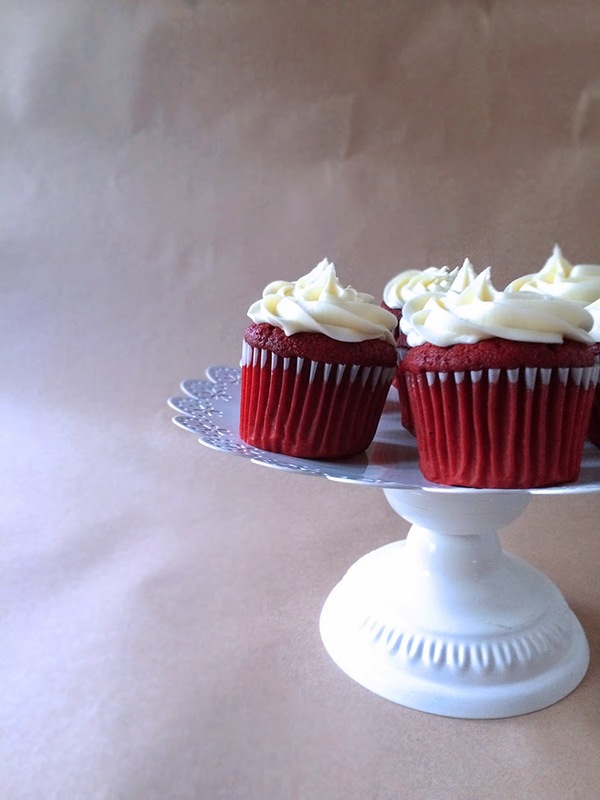 Anyway, for those of you still on the hunt for the perfect red velvet cupcake recipe, look no further. The Hummingbird Bakery’s recipe is definitely the way to go. Allow the cupcakes to cool for 5 minutes into the cupcake tins before removing to a wire rack to cool completely. 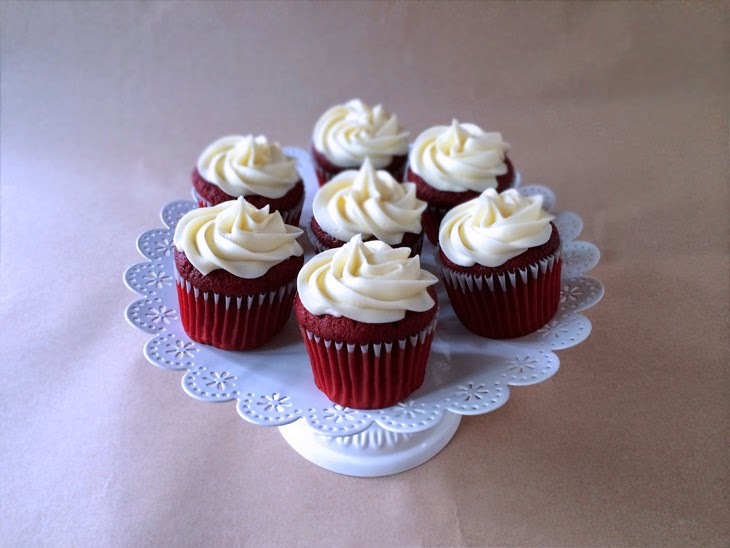 You may, like my brother and boyfriend, prefer to eat these without frosting… but for the purists who believe that red velvet cake must be eaten with cream cheese frosting, decorate as you will with this cream cheese frosting. I used a Wilton 1M tip to decorate with these darling little swirls. These baking cups are fabulous! The packaging is heavy duty and really protects the baking cups from getting smashed in transit. These cups are a tad smaller than the average baking cup but there isn't a huge difference. I did spray each cup with cooking spray before pouring batter in. Each cupcake came out perfectly. These baking cups are also easy to wash at https://www.amazon.com …..